Combining different materials to reach stunning, fashionable looks is what many designer tablet cases are doing. 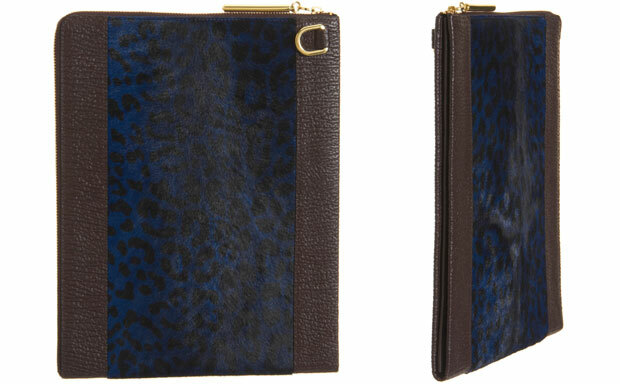 The latest folio tablet case from 3.1 Phillip Lim – Leopard Printed iPad Case – is no exception. 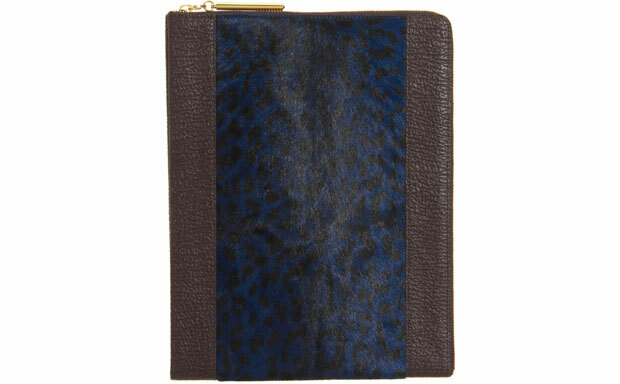 The case is crafted from a mix of textured leather and contrast colored leopard-printed calf hair. The folio is compatible with any Apple tablet model. The smooth leather material of the iPad 4 case protects the device from minor bumps and bruises at the same time enhancing grip and ensuring the case won’t slip out accidentally. The calf hair material is there to give the 3.1 Phillip Lim tablet case a sophisticated look, making it stand out in the crowd of ordinary folios. The iPad 3 case is lined with smooth leather on the inside, which takes care of unnecessary scratches and smudges. 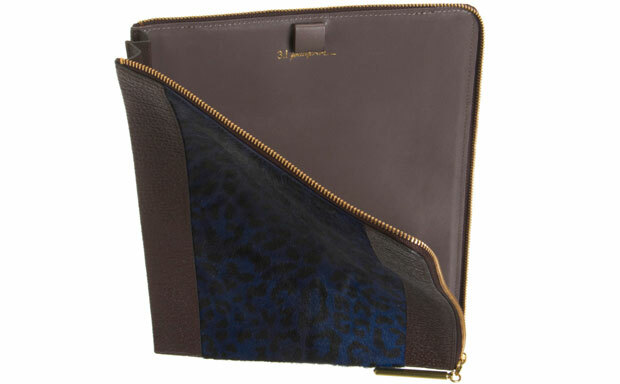 The gold-colored zipper lock secures the iPad 2 case, while a smooth leather gusset on one side of the 3.1 Phillip Lim Leopard Printed iPad Case ensures the tablet can be accessed quickly and easily.